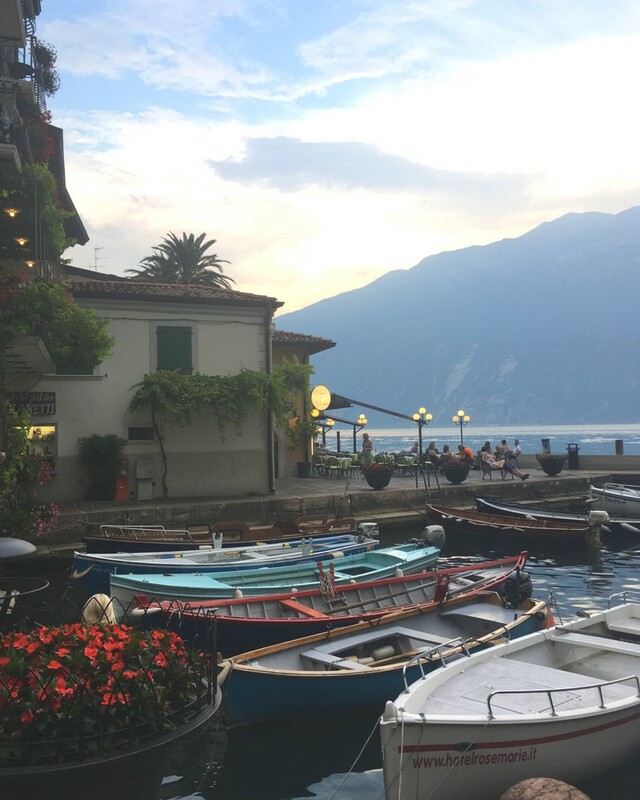 At the start of August this year, one of our team spent 6 days exploring Lake Garda. 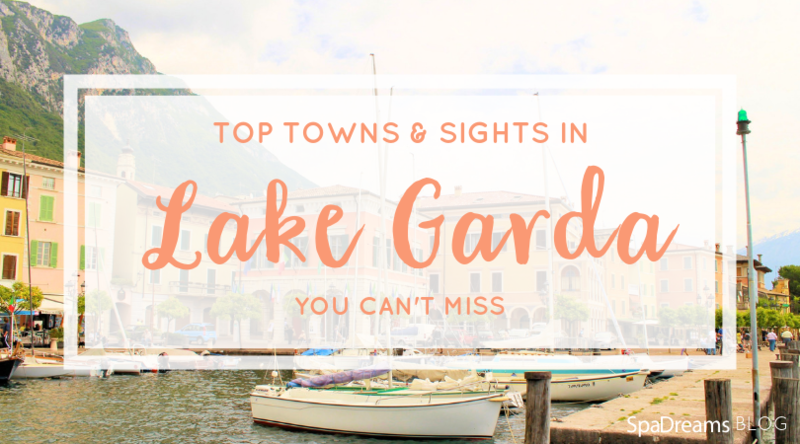 Read on to discover her personal experience of this beautiful north Italian lake, and learn about the top towns and sights in Lake Garda that you should not miss. 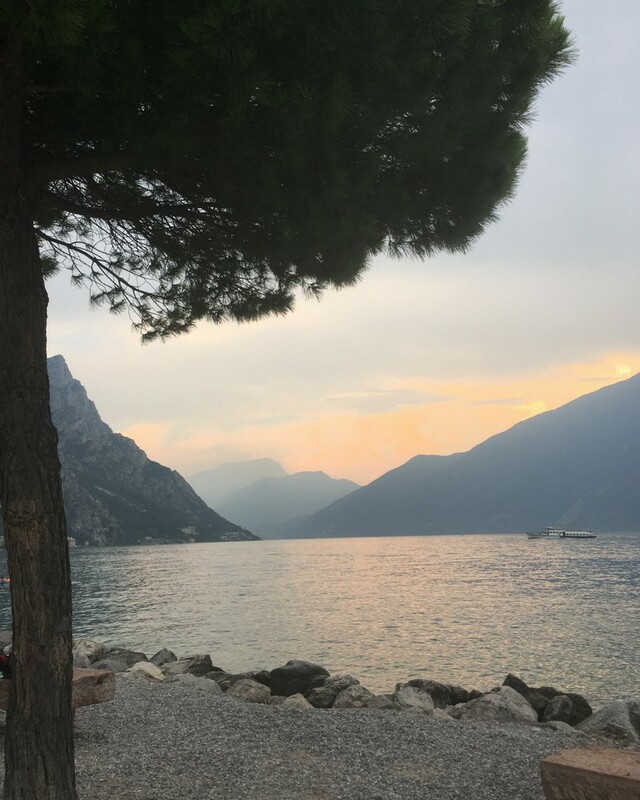 In August 2018, my school friend Ali and I went on a trip around northern Italy, starting at Lake Como and gradually working our way to Lake Garda, where we spent 7 days. We’ve been friends for years and previously travelled to Norway together, where we stayed in a straw hut with goats for two weeks. 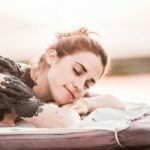 So, needless to say, I knew she was a good travel buddy. Our first stop on the lake was Riva del Garda, right in the north. We got to Lake Garda with a 50 minute train from Milan to Desenzano del Garda, which cost about €20 per ticket. Then we took a direct bus up to the north for about €6, taking about two hours and showed us beautiful views of the lake. In fact, we used Lake Garda’s public transport for the whole trip and it was quick and affordable. Riva is a small town of faded coloured buildings and flowers on every window sill and porch, surrounded by a fjord-like mountain backdrop. Whilst our apartment didn’t have a view of the lake, we found Riva’s towering mountains that turned peach in the morning sunrise equally beautiful. One evening we stumbled upon a village fete; hundreds of people in a square, either sitting on tables with beer and watermelon or joining in the line dancing in front of the stage. It really showed how alive this little town is and we watched in amazement as people of all ages followed the dance in time. In the mornings we would go straight to the white pebble beach and swim in the pale turquoise water, admiring the dramatic view down the lake. This is one of Lake Garda’s best beaches, with free entry, plenty of space and green lawns to lie on. 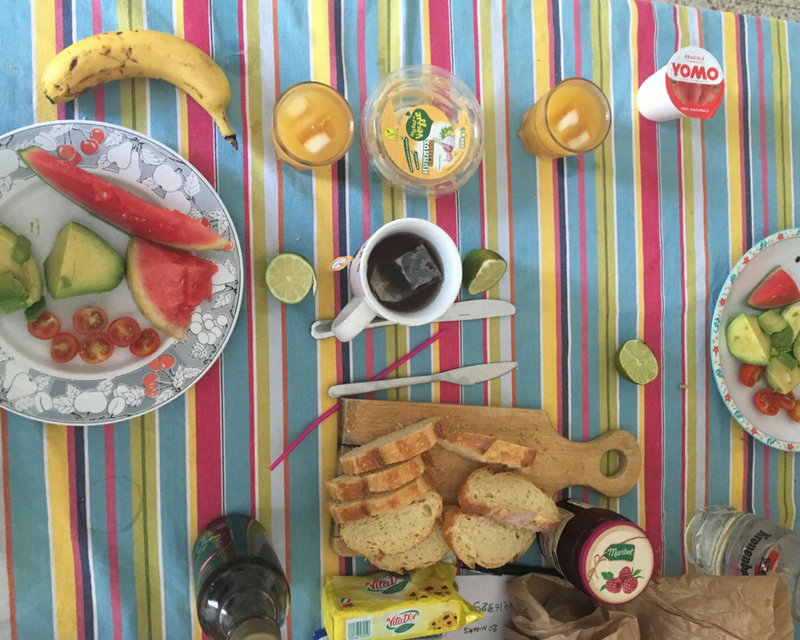 Breakfast time – watermelons from Italy are so sweet and juicy. On the 3rd day we took a boat to Limone sul Garda, a place famous for its lemon groves and the limoncello liqueur made from this fruit. We pottered round the steep cobbled streets of this mountain side town, sampling the sweet liqueur and exploring the quaint gift shops. We found a small harbour where we could swim and cool off for a while. Later we walked to the official swimming beach (also free) and hired a canoe. It was so refreshing to spend an hour out on the middle of the lake, dangling our feet off the side of the boat and enjoying the waves when large ships drove past us. Our day in Limone ended at a restaurant by the waterfront, quite naturally, with more limoncello, aperol and spaghetti. 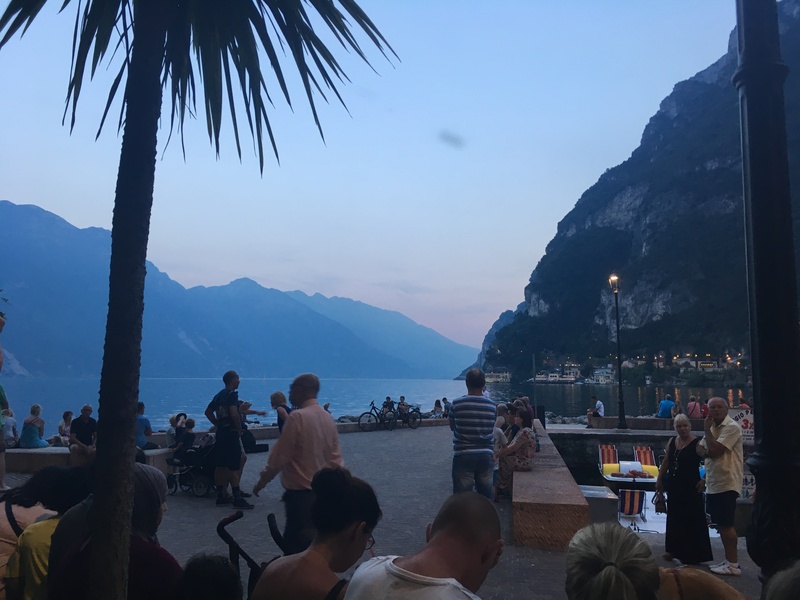 Sunset over the lake, looking out from Limone’s public beach. After 4 days we moved to Peschiera at the south of the lake, which felt very flat after our time in the mountains. It was pretty in a different way though; to reach the old town you walk through the moat-encircled city walls, dating back to the 16th centuy, to be met by buildings in hues of rusty red, and of course flowers, cafes and gelaterias everywhere. Canal flowing through Peschiera del Garda to the lake. On the last night we ate in a restaurant terrace on the other side, it was delicious. 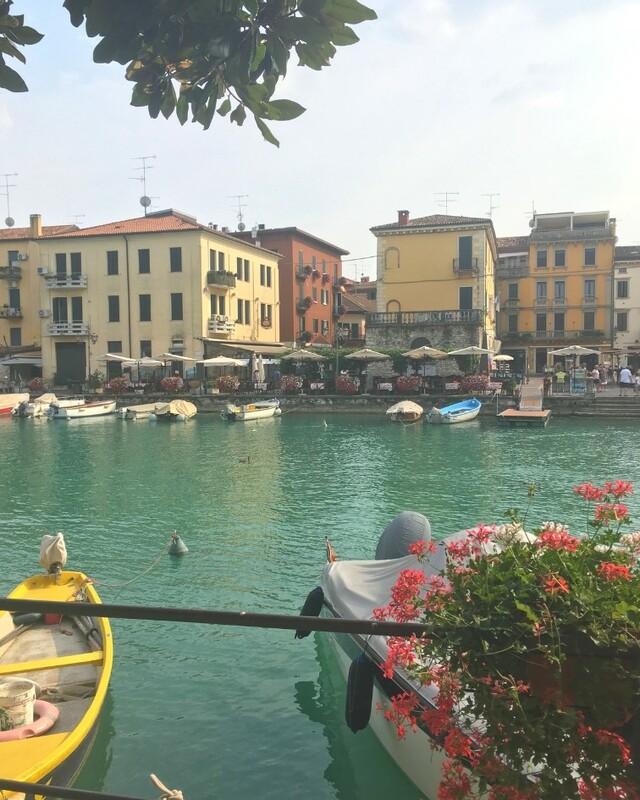 Peschiera is only a short train trip away from Verona, so we spent a day there. 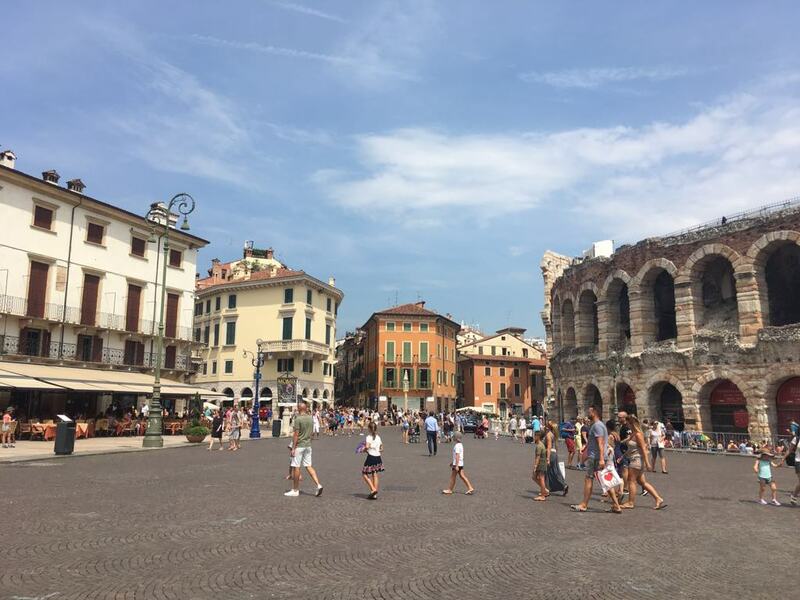 From the bustling Via Mazzini filled with designer shops to the quiet cobbled backstreets and the rusty castlevecchio, Verona has this peaceful charm about it. We went to Juliette’s balcony, where a man in an embroidery shop embroidered our names for us as a gift, and we touched the shiny bust of the Juliette statue for good luck. We explored old bookshops and cafes but were sadly refused entry to the designer Gucci shop (probably were too sunburnt to be fashionable). We ate gelato by the castle garden fountains and fell asleep on the lawn in the late afternoon sun. 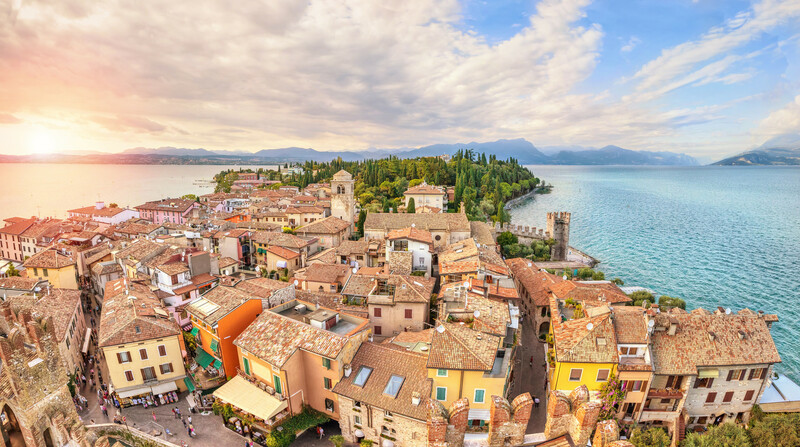 Panoramic view of the historical town Sirmione. 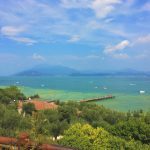 On our last day we went to Sirmione. I’d already visited 7 years previously, and despite the crowds of tourists, this is one of my favourite places on earth. 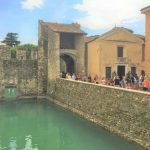 With a 30 min bus journey from Peschiera, we had arrived at the medieval entrance to the old town, which extends out onto the Sirmio peninsula. We wandered in across the bridge and through the gates of the 13th century Scaliger castle. It was so pretty, cobbled stones under feet, pale cream bricks making up the beautiful town houses, with flowers overflowing the window sills. There was this purple flower, Lilac, sheltering the shop fronts from the hot summer sun. We walked through the streets, looking for ice cream and catching glimpses of the turquoise lake at the end of each cobbled street. I bought some Grappa as a souvenir, and we also found my favourite stationary shop, full of the most beautifully designed paper and notebooks. I must have spent an hour deliberating over what to buy and in the end chose a miniature letter writing set printed with lilac flowers and silver embellishments. Then we trundled up the hill, past the Catullus’ olive groves and down the windy path to the bathing area. Catullus was a Latin poet during the late Roman Republic and the large ruins of his villa can be seen on the edge of the promontory, overlooking the strangely named Jamaica beach. 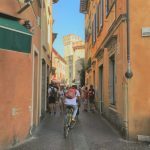 Man cycling through orange streets of Sirmione. View out over the Sirmione peninsula and Jamaica beach. The beach is made of huge, yellow stone boulders, which made the water look like a tropical, pale turquoise. We managed to find a spot shaded by an olive tree, not too far from the water. After a bit of chilling, we decided to take the plunge, and even though the beach has thermal springs, I prepared myself for what was usually a chilly lake dip. But when I tiptoed into the water, it was unusually pleasant. It was like a warm bath in a sauna. And the rocks were really slippery, so we quite literally had to shimmy on our bellies, because it was too unstable to stand on two feet. The further out we swam, the clearer the water became. When you crossed a crack in the rock you could feel a stream of hotter water, which was at once strange and pleasant. We enjoyed bobbing up and down in the warm waves for a while, and allowed the mineral water to sooth my sunburnt skin. After we felt sufficiently thermaled, we made our way back and dried off in the sun. Little birds flitted around us, eyeing the crumbs that fell from our taralli snacks (a small savoury biscuit made with white wine). On our way back through town, we tried one of the ginormous ice creams, literally the size of your face, unlike any other we’d seen in Italy. I had a vegan chocolate fondant and mango sorbet, Ali had tiramisu. We tried to take an ice cream selfie but without much success, looking as bedraggled as we did after swimming. Later that day, back in Peschiera, we watched fireworks exploding in the sky behind the Sirmione peninsula. It was a sweet end to our last evening in Italy. Harbour in Limone at sunset. 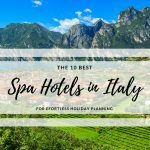 All of the towns in Lake Garda mentioned here can be visited with an easy bus or boat trip from any point on the lake, making it perfectly doable without a car, but we recommend staying in the south if you also plan to visit Verona, Milan or Venice. 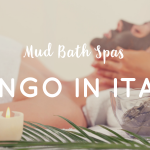 If you are wondering where to stay in Lake Garda, check out our tip on the best spa hotel in Lake Garda, Hotel Sirmione & Promessi Sposi ★★★★ Its thermal spa, Sirmione Aquaria, features thermal pools, colour and aroma therapy showers, saunas and much more. 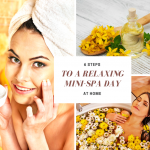 The thermal spring water is rich in sulphur, iodine and bromine, which helps to relieve bodily tensions and promote healing. The temperatures in Lake Garda can be quite humid and hot in mid-summer, 27 – 30 degrees max. 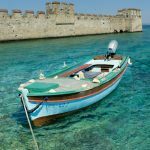 So if you want to avoid the peak flows of tourists, a good time to visit Lake Garda would be September or early October, when the max temperature goes down to a comfortable 25.